From Viareggio to the Gulf of Poets, the northern part of Tuscany is flanked by the long sandy beaches of the Versilia, upto the border with Liguria, where, in the Cinque Terre, the shape of the coast becomes rocky offering a haven for diving enthusiasts. 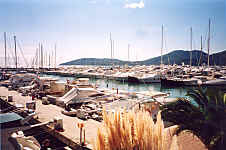 The sea which washes the coast of Tuscany has all the advantages of the Mediterranean Sea. It is ideal for windsurfing, water-skiing and other water sports. 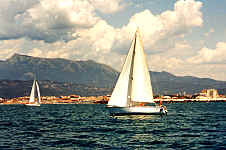 The light sea breeze guides sailing enthusiasts to discover small bays which lie north of the port of Marina di Carrara.